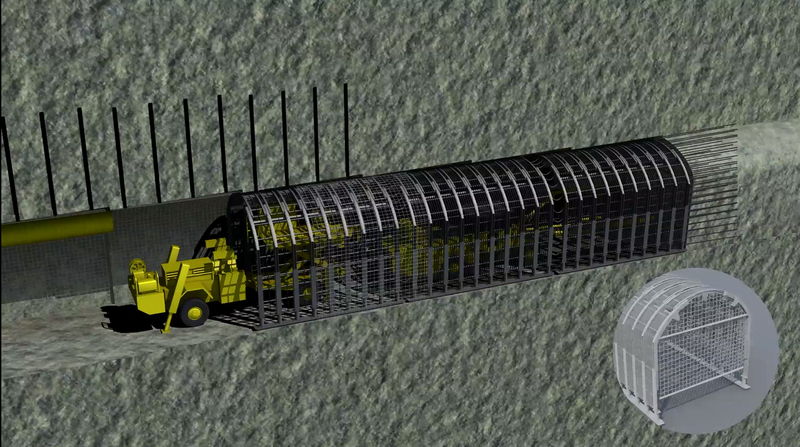 The batch mining process commonly used in underground base-metal mines is capital intensive. CEMI continues to investigate and push forward in finding ways to improve the cost effectiveness and lean the underground production process by re-designing the individual, discrete tasks in a process so they can be managed as a series of simple, linked tasks. In the case of drift development, this will help to maximize the utilization of the face and enable concurrent activities in the heading. In the case of mine production, improving fragmentation will facilitate productive utilization of the stope. The goal is to extend this approach to all mining processes, and by understand their interconnectedness, look for ways to improve overall productivity. Only once these processes have be ‘leaned’ is it possible to maximise the benefit of process automation. 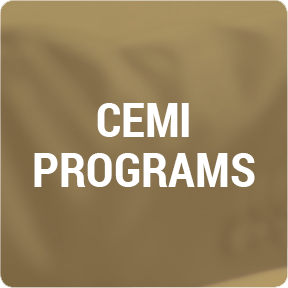 CEMI has initiated four projects through a collaborative effort between industry, SMEs, consultants and researchers in identifying needs, addressing issues and developing potential solutions. CEMI’s approach to drift development is to maximize utilization of the face. Underground mine development has been a series of four sequential tasks —removing broken rock from the face (mucking), installing ground support, drilling the face (including preparatory activities for drilling) and charging the holes with explosives and initiators. The sequential nature of these activities and the time lost to equipment entry and re-entry reduces face utilization and decreases the rate of advance. This system protects the equipment and operators and allowing for drilling and charging of the face to occur concurrently while ground support is being installed behind the face equipment. Functionality tests and strength test for the canopy have been performed on the prototypes–above ground and at the former MTI underground test mine site. Simulation tests were also conducted to help further refine the design for field trials and future field trials will be conducted at the NORCAT Test Facility. These tests will ensure that the canopy design has addressed the issues of what is required to move forward for operational situ use. The Next Steps include the development of a full set of prototypes to be used for actual operational trials and time studies to quantify productivity gains, and optimize performance for safety and ease of operation. A number of mining organizations are interested in the outcome given the benefits. The Mine Development Canopy System (MDCS) is the first phase of CEMI’s strategic project on Rapid Development in underground mines. The primary goal of the Rapid Development Project is to reduce the time to first production in new underground ore-bodies, reduce overalldrift development cost by increasing the effective utilization of the face, not the utilization of the equipment. As a result it improves safety and productivity. CEMI’s MDCS provides a physical barrier to the rock-related hazards in development headings in high-stress conditions, enabling simultaneous activities in the heading and effectively reducing the development cycle time. Current drift development practice generally involves four sequential activities: removal of blasted rock (mucking), installation of the ground control system (bolting), drilling the face holes and charging them with explosives. This four-stage sequence of activities requires the re-entry of four pieces of equipment, and critical time is often lost between the re-entries. No face activity can be carried out until the ground control system is complete and in some cases, support has to be installed on the face of each heading after each blast. This increases the duration of the development cycle and further reduces the advance rate. The robust, engineered, movable canopy can be brought into the development heading to protect personnel and equipment from rock falls and rock-bursts and allow simultaneous activities in the heading. The Mine Development Canopy System is comprised of three individual canopies. The front canopy, with a face shield when necessary, will protect the face drills and the drill carrier from rock-related hazards. The canopy is designed to allow for the necessary look-out for the face drills at the wall- and roof- control holes. The back canopy protects the equipment and operators and allows ground support activity to be completed while the face is being drilled and charged. The middle canopy protects workers as they travel between the front and back canopies. CEMI has developed the Mine Development Canopy System for single heading lateral development. Functionality and strength tests have been performed on prototypes both above and underground. 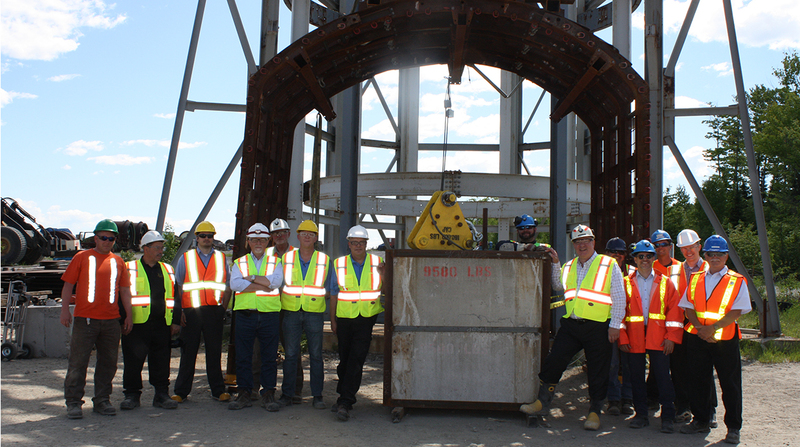 Nordic Minesteel Technology (NMT) of North Bay, Ontario, has been involved with the design and testing of the system components. The System is in the final stages of pre-commercialization, undergoing operational final testing, to be completed in 2017. NMT will construct commercial units and will market the MDCS to the mining industry. The second phase of the Rapid Development project is to reduce the duration of the mucking cycle that removes broken rock from the heading, allowing face advance activities to re-commence. Conceptual work on the technologies for this second phase has been completed. 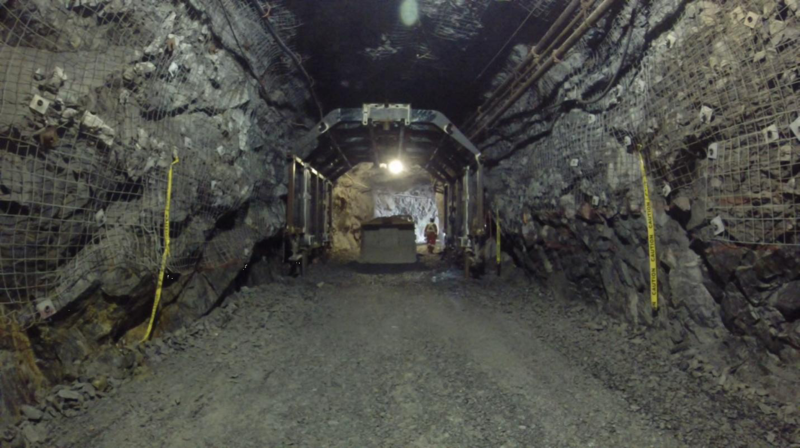 CEMI has been working with Labrecque Technologies to simulate the rock- removal process in order to target the kinds of technological developments needed to ensure a rapid rock removal system capable of moving approximately 300 tonnes per hour. This allows the Rapid Development System to reduce the development cycle time and to less than 10.5 hours, enabling two cycles per day and accelerating the rate of access to new ore-bodies.